Non-traditional destination wedding style comes to life with a gown in color! 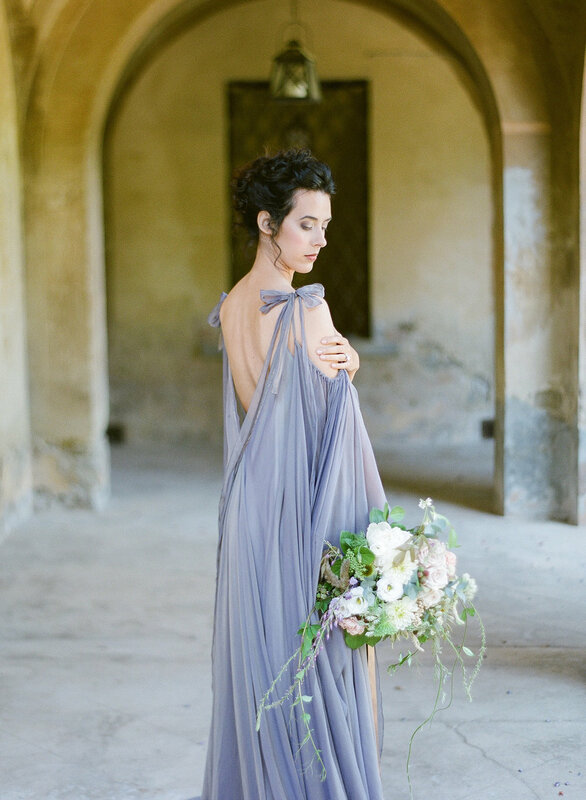 Old world, renaissance inspiration abounds in this Tuscany wedding with the Myrina gown! 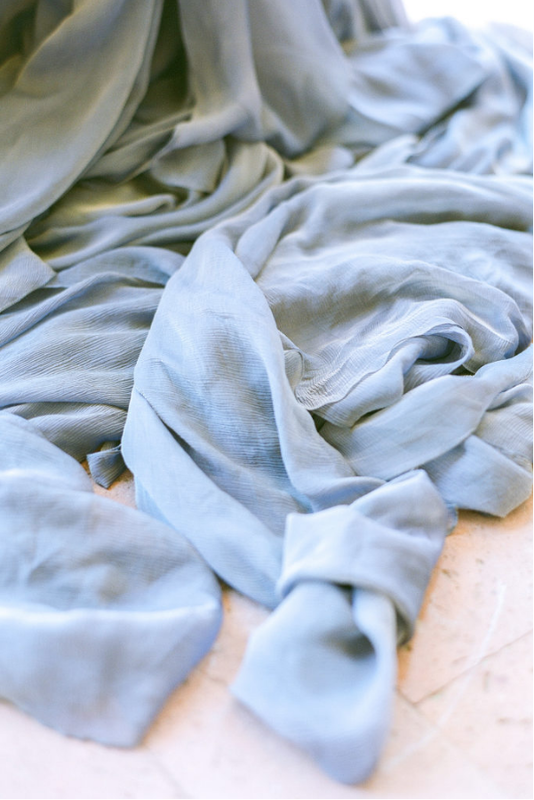 We especially love the pairing of rich, patinated textures with her shimmering iridescent crinkle chiffon.